I love minions and so should you! This bunk bed has a canon, TV with a wii, a slide, a rope swing, a desk, walkie talky, a table, lights, lots of pillows, car track, wall board, and a remote control helicopter with a light. 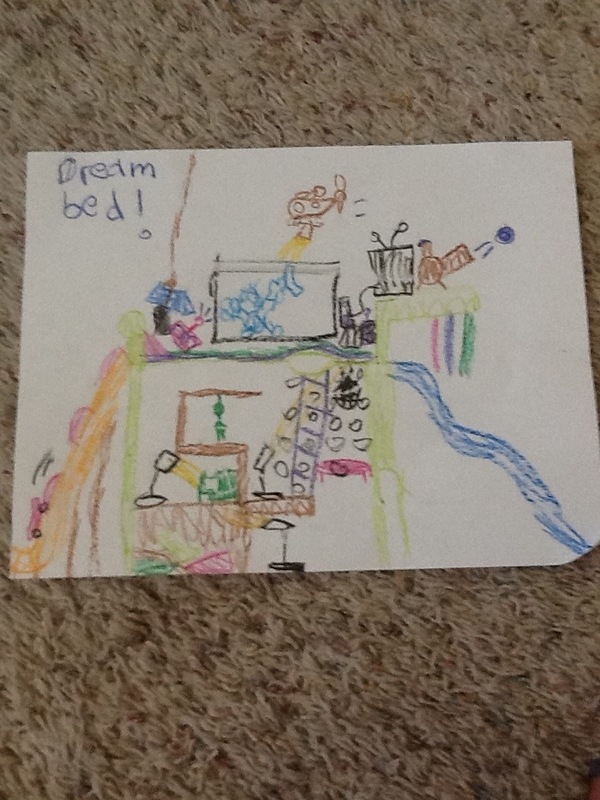 No responses to "Dream bunk bed"